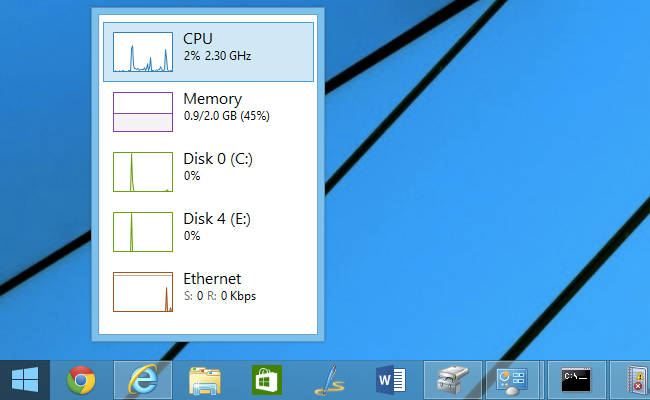 Today in Geek School we’re going to teach you how to monitor your computer using the built-in tools that Windows provides, Task Manager and Resource Monitor. Keeping track of resources on your PC is one of the proud geek traditions that will probably never die – instead, it spread over to smartphones and tablets, with task manager utilities being some of the most popular apps for a long time. The biggest problem in Windows is that there are way too many utilities to choose from when you’re trying to track resources. 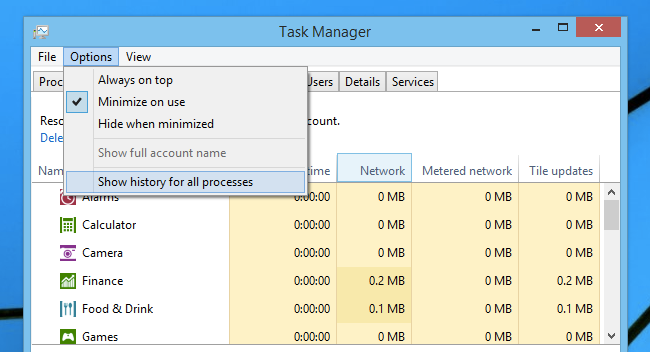 So today, we’ll go through some of the useful features in Task Manager and Resource Monitor. 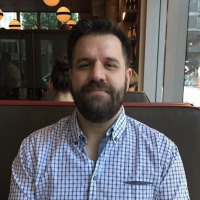 It’s worth pointing out that if you haven’t read our series on using the SysInternals Tools, this would be a great time to do that. Process Explorer is an extremely powerful tool that can help you manage tasks and see what’s going on. 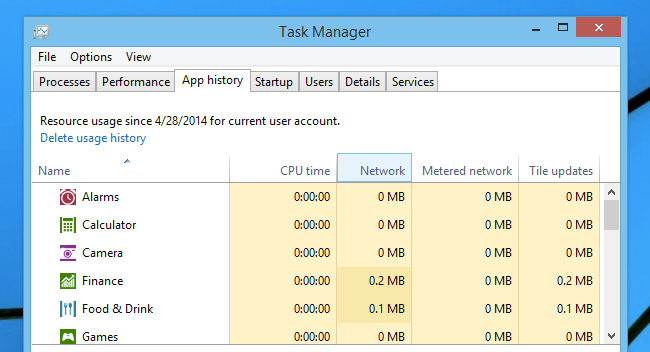 Everybody knows how to use task manager, including people that know almost nothing about Windows. They hit CTRL + ALT + DEL and then select Task Manager from the list, because they don’t know that you should use CTRL + SHIFT + ESC instead to launch it instantly. And then they close whatever process Windows says is hanging. Luckily Microsoft greatly enhanced the Task Manager with a lot of new and useful features that help you monitor your computer more effectively. If you double-click on the left-hand side of the window, where all the little graphs are, Task Manager will minimize down into a great little system monitor that you can put on one of your displays to monitor things at all times. If you double-clicked on the right side of the screen instead, you can maximize the particular graph that you were looking at and use it as a monitor. 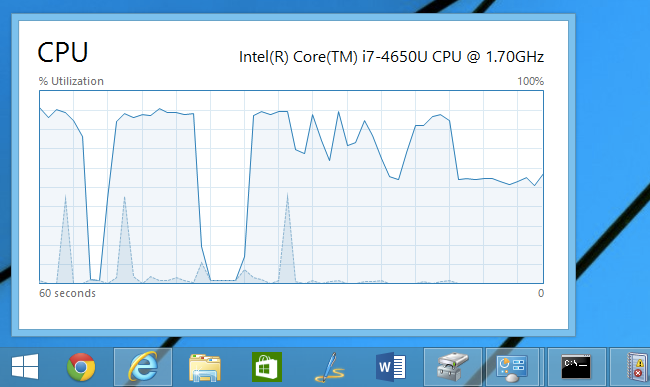 In this case we chose the CPU monitor, which shows a graph like this one. Tip: You can use the Options -> Always on Top option to make Task Manager stay on top of every other window, which is really helpful when displaying in the mini graph view. The App History tab shows you the resource usage over time for your applications, whether they are currently running or not. This can be really useful for troubleshooting something that might have happened while you weren’t in front of the PC. The one problem is that by default the App History tab only shows you processes that belong to Windows Metro apps, which makes no sense considering you need to use Task Manager on the desktop to see this tab in the first place. Luckily you can go to Options -> Show history for all processes and then you’ll see everything in the list, including regular Windows apps. 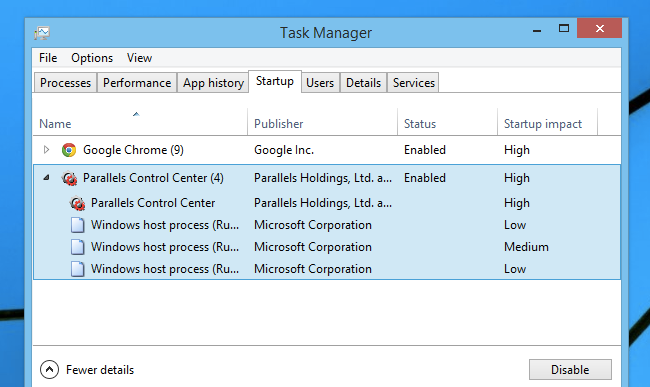 Much has been written about how Microsoft added the ability to manage your startup applications into Task Manager, and the Startup tab is pretty simple to use. So today we’re just going to mention that the Startup impact column is important for understanding what is slowing down your system boot time, and when you are monitoring your PC or somebody else’s, you should take a look at it. 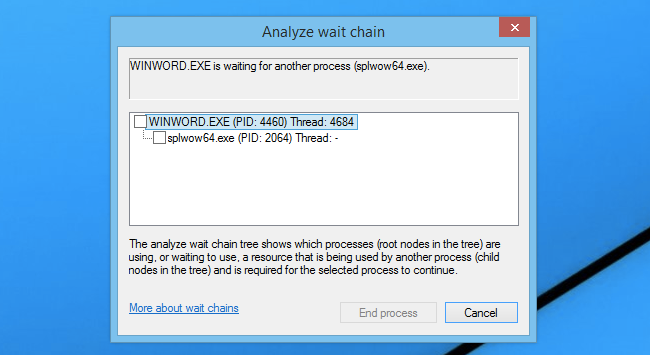 One of the new options added into Task Manager in recent versions was the “Analyze Wait Chain” option when you right-click on a task in the Details view. This allows you to see what processes are waiting for a resource that is being used by another process. What this means is that if you have an application hanging for some reason, you can analyze the wait chain to see whether it is waiting on something that is in use. For instance, we printed from Word, and then used this option while the print process was happening to see what would happen. In this case, Word was waiting for splwow64.exe, which handles printing from 32-bit applications. It’s worth noting that because Word is written properly, the GUI interface doesn’t actually hang while it is waiting for the other process. 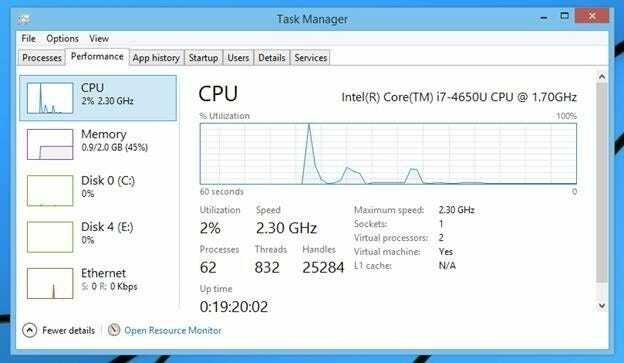 When Task Manager just isn’t enough for tracking CPU, memory, disk, or network usage, you will probably want to turn to Resource Monitor, which is the best tool for tracking all of these things in a simple and concise way.